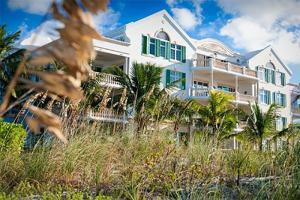 This extraordinary retreat is located at the Point of Grace Bay's pristine twelve-mile beach. Named the Caribbean's Leading Boutique Hotel by World Travel Awards, this 30-room resort features fine dining and a spa amidst a picturesque beachfront setting. Lush tropical plants surround the pool and cottages. Grace's Cottage, the elegant restaurant at Point Grace, seating just 62, serves light, gourmet Caribbean cuisine that showcases the region's strong ethnic influences and finest indigenous foods. A joyous spirit resonates throughout the golden enclave - a perfect place for relaxation, regeneration and reflection. Located on Providenciales Island, only 90 minutes from Miami by plane.